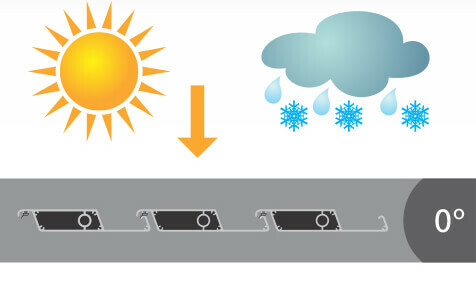 Adapt to ever-changing Canadian weather conditions! DIY Kit. Order your size & we ship it. 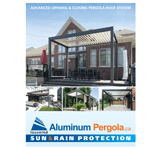 We are proud to offer the GTA a product that is manufactured in Canada. Our price is 25% lower than our GTA competition that offer a similar product that is manufactured and shipped from the U.S.A. 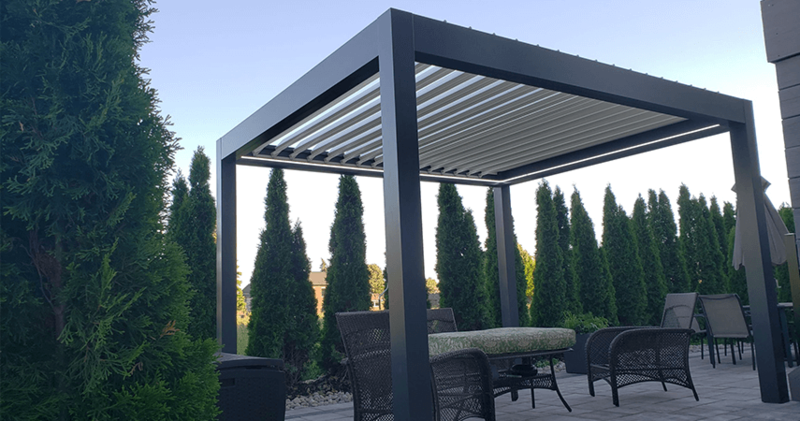 Maximize the functionality of your outdoor living space and adapt to the Canadian seasons with our unique aluminum louvered pergola system. 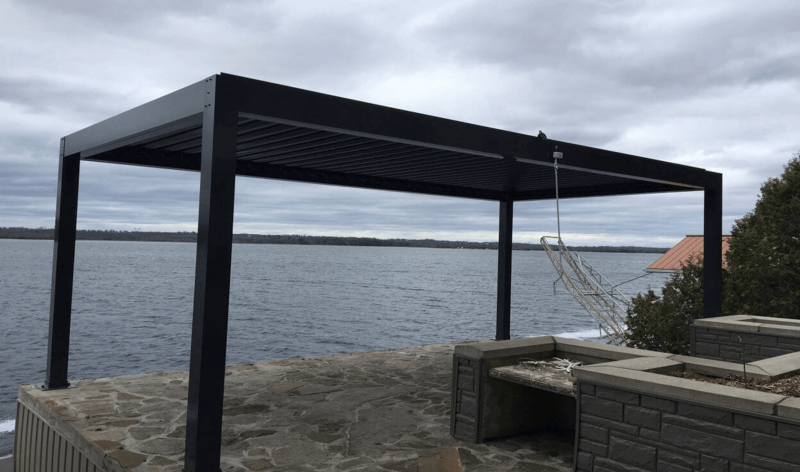 Explore 3D Model Aluminum Pergola! 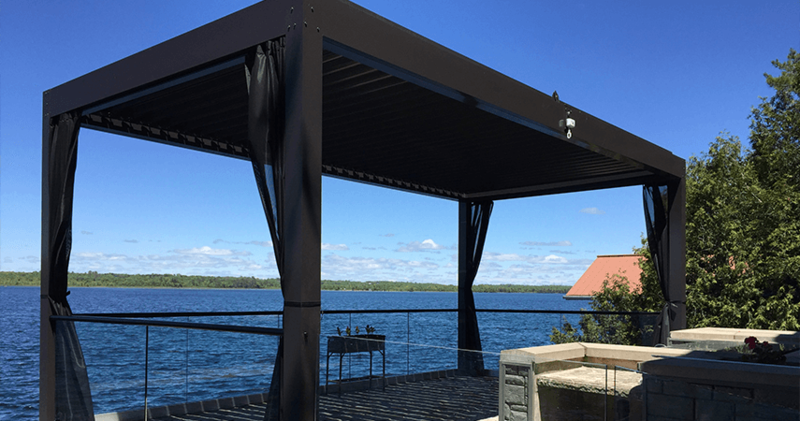 Our aluminum pergolas are inspired by the latest trends and styles from Europe. 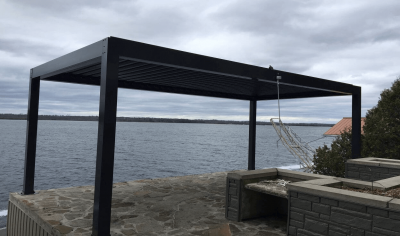 Our aluminum pergola system adds value to your home or business and creates a unique aesthetic that will draw your attention and command conversation. 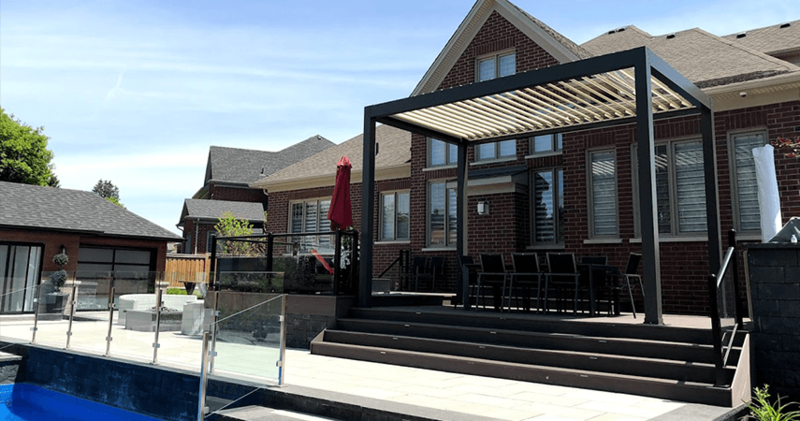 Our aluminum louvered pergolas can be attached to an existing structure like your home or business or can be freestanding, creating a separate outdoor living space for you, your friends, family or patrons to enjoy. 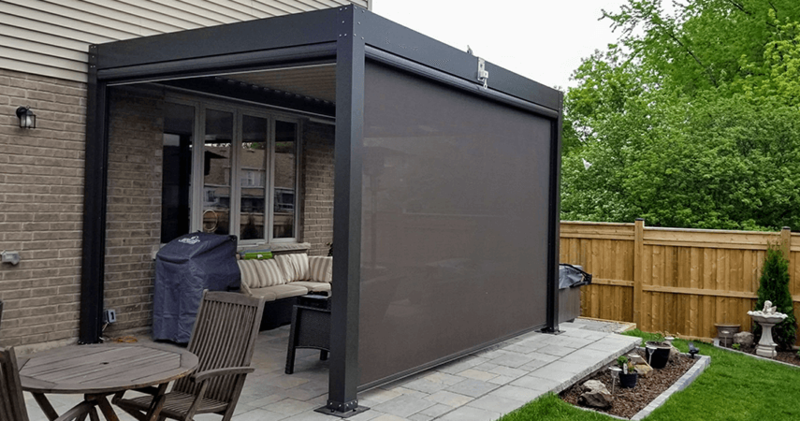 Extend the use your patio in the backyard. 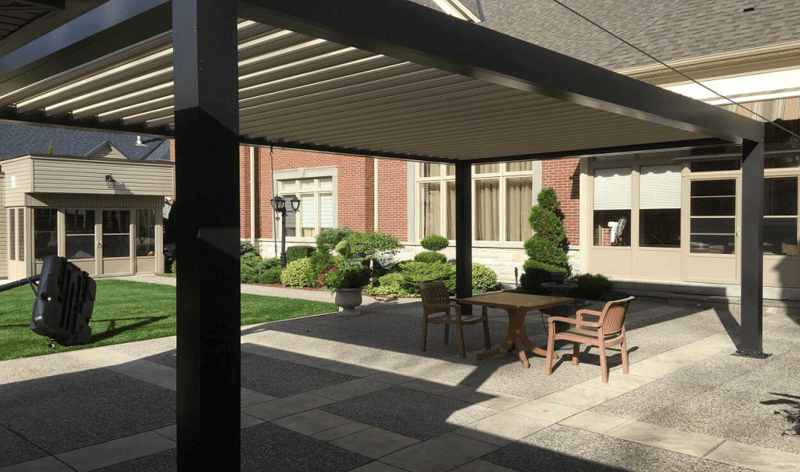 Service more patrons by extending your functional space at your business location. 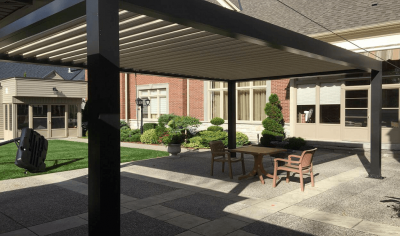 Our aluminum louvered pergola system is custom built to meet your needs and requirements. 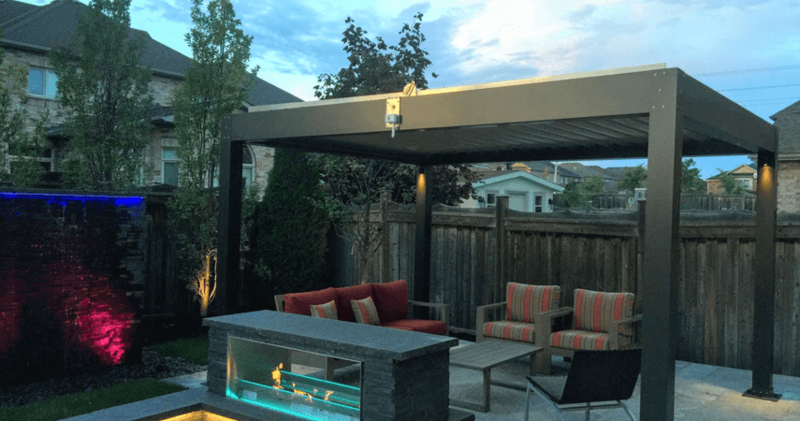 Our system also allows for add-ons such as heating, lighting, privacy shades, insect screens, and outdoor audio visual integration. 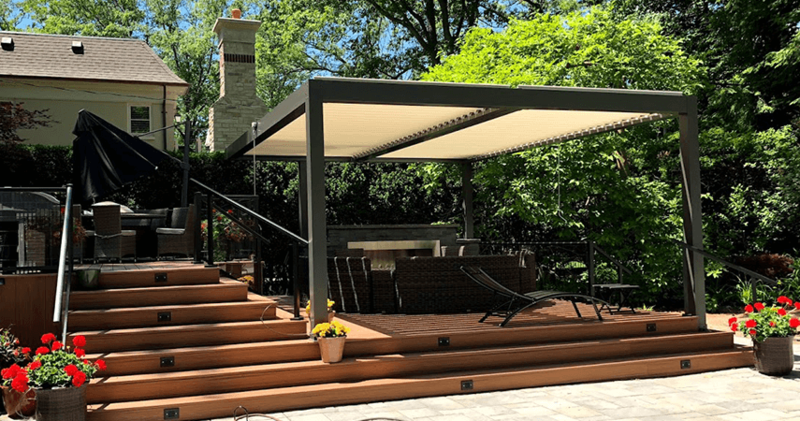 We take your vision and make it a reality. 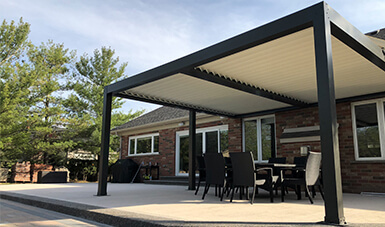 Our experienced team will be there during every facet of your installation to make sure you are completely happy with the final product. 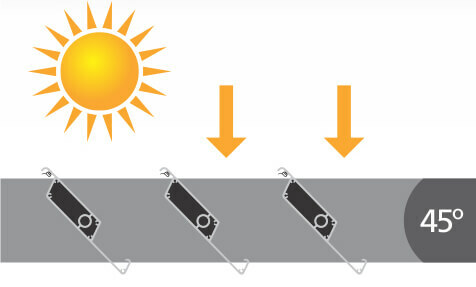 We walk you through the design with 3D models so you can better envision the end result. 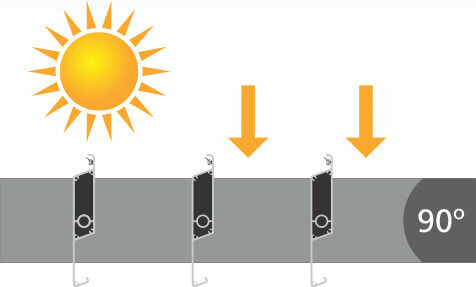 This allows you to better plan the surrounding area and helps you maintain your desired aesthetic. 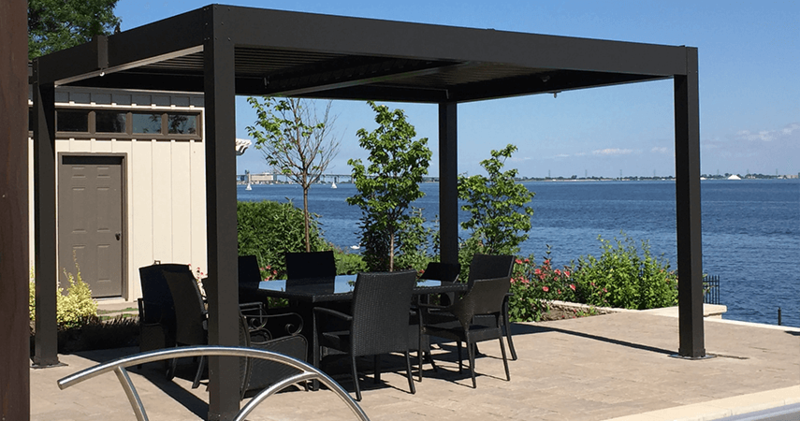 Our experienced team is always available for information on our product and any questions you may have regarding preparing your outdoor living space for one of our custom aluminum louvered pergola systems. 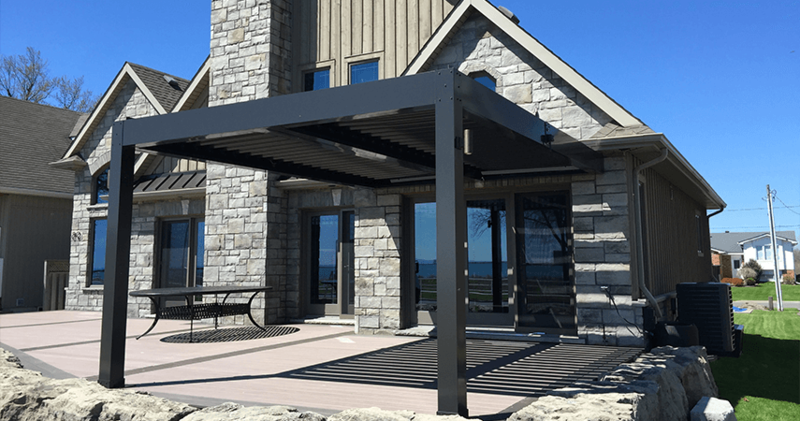 Contact us today and let us help you build a structure that will add value to your home or business. 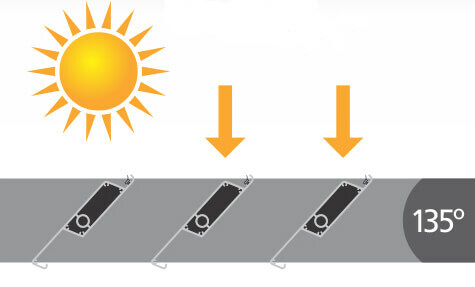 We pride ourselves on offering a product that is manufactured in Canada!